The term Grand Circle describes the region of the four corner states containing the greatest concentration of parks in the United States. 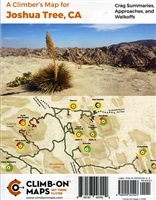 This guidebook is one of four books from the Grand Circle Series with information on all Parks and recreation areas in Nevada, inside of the Circle. National Parks, sixteen National Monuments, two tribal parks, eight State Parks, plus very detailed regional maps.